In an age when new technology platforms, politics, and changing consumer behavior are posing existential challenges to the music publishing industry’s long-standing practices of collective rights management and blanket licensing, Paris-based Armonia Online is fighting to preserve the collective. Formed in 2013 in response to the increasing fragmentation of the European licensing landscape — an unintended consequence of a European Union directive meant to encourage multi-territorial licenses — Armonia is an alliance of collective management organizations (CMOs) that offers one-stop, multi-territory licenses to digital service providers (DSPs) while preserving what it views as the important benefits to rights owners of collective management. To achieve that goal, Armonia built a collaborative back-office technology platform that allows its member CMOs to harmonize their music-usage data processing and metadata management while preserving their own, proprietary payment arrangements with the songwriters and publishers they represent. The alliance now includes 9 CMOs and 3 mandates, representing over 13 million tracks. 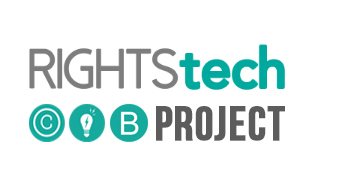 In 2017, Armonia became a charter member of the RightsTech Project, and its CEO, Virginie Berger, will be speaking at the RightsTech Summit on September 27th in New York. We a recent Q&A with RightsTech, Berger discussed Armonia’s formation, its goals, and its views on the evolving role of collective rights management in a time of fragmenting markets. RightsTech Project: What was the impetus for the formation of Armonia Online? What issue in the market are you trying to address? Armonia Online In 2005, a Recommendation from the European Commission encouraged rights holders to grant multi-territorial licenses directly to digital service providers (DSPs) outside the scope of reciprocal agreements between author societies. This prompted many of the biggest publishers to withdraw mechanical rights from the authority of CMOs (Collective Management Organizations) on the Anglo-American works they represent (as well as some Latin-American and Asian works), in favour of direct licensing in European territories. As a consequence of this repertoire fragmentation, the local CMOs cannot provide licenses with multi-territorial cover and the DSP has to contact the CMOs in all EU-member states as well as those rights holders that have withdrawn their rights. This poses major problems for all aspects of the licensing process such as identifying the repertoire which requires an additional license and the right holders associated with it. Armonia Online was created to re-aggregate repertoires in Europe and to facilitate the grant of multi-territorial licenses, by acting as a one-stop shop for online music services wishing to enter Europe. Founded in 2013 by the Italian, Spanish and French collective societies (SIAE, SGAE and SACEM), the hub was joined since by SABAM (Belgium), Artisjus (Hungary), SUISA (Switzerland), SPA (Portugal) and AKM (Austria) and also represents the repertoires of three mandating entities: Universal Music Publishing International, Wixen Music, and SOCAN, for a total repertoire of 13 million musical works. RTP: How has Armonia addressed that issue? What processes and capabilities did you have to put in place to meet your goals? AO: The first challenge for our members was to organize themselves into a consortium at a time when the overall licensing market was getting more competitive. In the first place, the European collective societies had paradoxically to structure themselves together within a more competitive environment. In the mono-repertoire licensing system resulting from the fragmentation, smaller collective societies feared a loss of value of their repertoire as well as a leak of their members to the benefit of societies having bilateral agreements with the big publishers. Armonia’s strength is that it maintains the value for all CMOs’ repertoires, since there is a single agreement on rates and tariffs with DSPs. This is mainly what Armonia has been working on during its first years of operation: how to streamline and harmonize processes within the member societies in order to facilitate and accelerate the granting of pan-European licenses for online services and music technologies. Thanks to these efforts, Armonia has signed deals with Deezer, YouTube, Google Play, Beatport, Guvera, or more recently with 7 Digital and Recisio. Today Armonia is still working to de-mystify pan-European licensing, but the music rights industry is such a complex business that it takes a very long time to educate the market and the players, especially when they come from outside of the EU – and specifically from the US where the rules are completely different. Finally, Armonia had to put in place a common initiative which resulted in the creation of a collaborative back office platform to process data and ensure a better identification of rights owners’ works. RTP: Were you able to use existing technology to build your platform or did you need to develop new technologies/applications, etc.? AO: To answer the challenges associated with the overwhelming volumes of data to process (around 0.5 TB of data in hundreds of files are sent every month by DSPs) and to avoid the redundancy of processes among the different societies, the Armonia members decided in the very early stages of their alliance to initiate a common back office system. In 2014, Armonia chose the Spanish start up BMAT to build this collaborative service platform for sales reports processing, acting as a trusted and neutral third-party. The service platform built with BMAT takes the best and appropriate technologies available in the market and is fully scalable. As a first step, the technology enabled Armonia to have a common quality check of DSPs’ sales reports, a single repository with 10-year archive of sales reports as well as a mutualisation of business analysis. Then, Armonia developed metadata cleaning and enrichment to improve reports quality and automated matching, resulting in a faster and more accurate identification of works. Today, the Armonia back office platform is processing at a speed of 2GB per minute and 72 billion of elements are transacted every month. We keep improving our technologies and developing our tools to improve the accuracy and timing of financial streams for rights-owners royalties’ payouts. RTP: What are Armonia’s principal long-term goals, and how far along do you believe you are in reaching them? Where did you see Armonia Online ultimately fitting within the music licensing system? AO: Armonia’s main goal is to sustain collective management of rights in an environment where its relevance tends to get undermined, despite being more crucial than ever for protecting authors’ rights. Indeed, some entrepreneurs claim authors can bypass CMOs and have their rights managed more efficiently by some new innovative players. Yet CMOs are constantly investing in new ways and technologies to improve their processes. Often, the processing of the data for a given digital service cost more than the revenues it actually generates. The CMOs within Armonia are not-for-profit and their one and only reason for doing business is to get more revenues to distribute to their members. 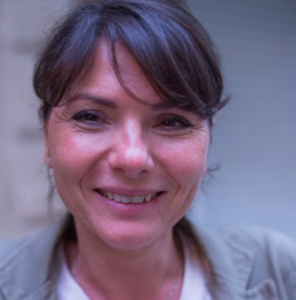 SACEM for example, the French collective society, has never distributed as much money as it did in 2016. And CMOs always are at the forefront of battles with non-paying players such as piracy platforms or web and TV giants. Armonia ultimately aims at expanding into a strong international community of societies fighting for the protection of authors’ rights and helping them to make a living from their creations. To that end, we have put in place strong licensing agreements with major DSPs to ensure maximum revenues for the authors. RTP: How would you assess the current state of the music licensing system? Is the industry moving in fast enough to develop the capabilities needed to sustain a healthy music economy? Is if falling behind? Where are we on the learning curve? AO: The traditional players from the music licensing system took a long time to fully embrace the new consumption habits in the digital realm and to adapt to them. It’s only very recently that we have seen technology initiatives emerge among those traditional players. However, transparency in royalty pay-outs remains a major challenge among all of those new privately-owned technology structures, whereas CMOs must comply with ever-stricter transparency guidelines. What has been interesting lately, is how the traditional industry has begun to join forces to build common initiatives in the fields of tech and innovations: the ASCAP/BMI joint song database plan, the SACEM/PRS/ASCAP blockchain project, the R&D initiative of the Nordic music copyright societies ‘Polaris Future Lab’, ASCAP/PRS/STIM partnership with the Swedish startup Auddly… CMOs know they cannot move fast enough to adapt if they are on their own: cooperation and exchanges of expertise are keys. Yet there is still work to be done and processes to be improved since the digital storm is far to be over. New models are emerging every year, regarding both financing structures and types of contents, that do not fit in the boxes of traditional licensing schemes. It is always about finding the right balance between what is fair for artists without asphyxiating the service: a startup still in its infancy today could be the Spotify of tomorrow, and overwhelming licensing fees or advanced payments could nip it in the bud and prevent from significant revenues in the future. RTP: What are the main challenges the industry still needs to address with respect to licensing, and how effectively are they being addressed? AO: The number one challenge in the licensing system today is the identification of works. Collective societies rely on metadata to identify works, but very often, the information available is not qualitative enough to properly match a work with its rights owners. Moreover, the international licensing system relies on two types of information: the sound recording data, associated with the International Standard Recording Codes (ISRCs) and the publishing data, associated with the International Standard Work Codes (ISWCs). Today, there is no industry-wide system in place to reconcile the two, and third-party tech providers often don’t have access to it. Technologies like audio fingerprinting, metadata enrichment or blockchains have been developed to reduce, over time, the number of unidentified works. Still, thousands of new works are added every day to the thousands of music work already in databases within the publishing industry, making the task very complex. 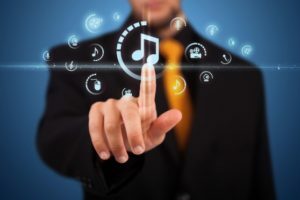 Another very interesting challenge the music rights industry will have to tackle in the very near future is Artificial Intelligence in the many possible ways it could impact our organizations. How could machine learning change the composition of music? When an AI creates a piece of music, who owns the rights to it? And who is liable for copyright infringement in such event? These are questions the industry has to address today if it wants to remain relevant tomorrow.